Pretty Little Liars Season 1 Episode: 4 - Can You Hear Me Now? 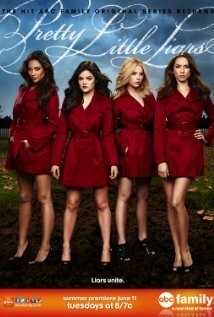 Pretty Little Liars Season 3 Episode: 22 - Will the Circle Be Unbroken? Pretty Little Liars Season 4 Episode: 5 - Gamma Zeta Die! Pretty Little Liars Season 4 Episode: 7 - Crash and Burn, Girl! Pretty Little Liars Season 4 Episode: 14 – Who's in the Box? Pretty Little Liars Season 6 Episode: 19 - Did You Miss Me?